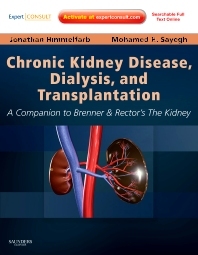 Chronic Kidney Disease, Dialysis, and Transplantation—a companion to Brenner and Rector’s The Kidney—covers all clinical management issues relevant to chronic kidney disease. Drs. Jonathan Himmelfarb and Mohamed Sayegh lead a team of expert contributors to present you with the latest advances in hypertensive kidney disease, vitamin D deficiency, diabetes management, transplantation, and more. With the fully searchable text online at www.expertconsult.com, you’ll have convenient access to everything you need to manage your patients. Apply the expertise of distinguished researchers and clinicians in the fields of hemodialysis, peritoneal dialysis, critical care nephrology, and transplantation. Manage the full range of issues in chronic kidney disease, dialysis, and transplantation through comprehensive coverage of basic science and clinical tools. Gain clear visual understanding from illustrations, including diagnostic and treatment algorithms, line drawings, and photographs.